The world, its politics and environments, conflicts and economies, is in peril, in disarray. We are flooded with tragic tales and the shameful deeds of others. And because of this we have lost sight of the beauty, the story and narrative hidden in the local, in the landscapes around us. We filter out the seemingly mundane of our immediate world. And yet it is in this immediate world where beauty lives, and change begins. 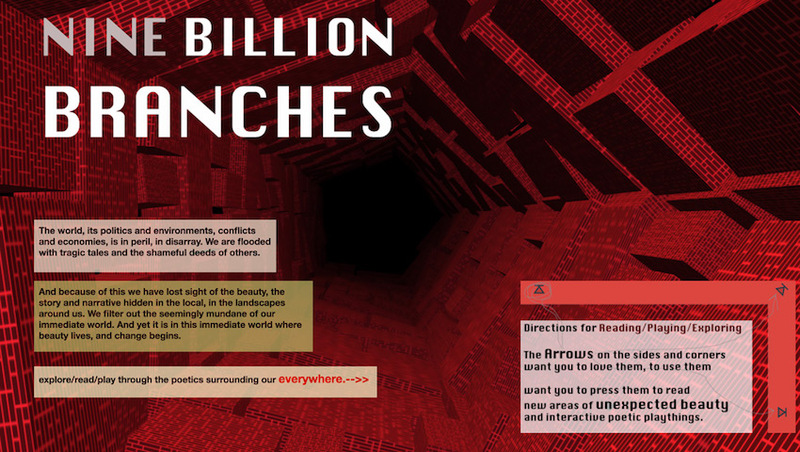 Nine Billion Branches is an interactive digital poem and fiction hybrid. 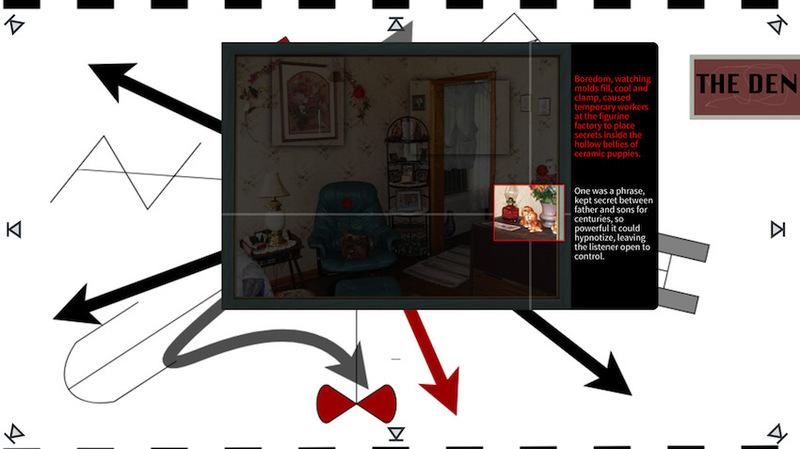 It explores the unexpected beauty hidden in the seemingly mundane objects and places around us. And the desires is for this digital poem to open a curious hope in the reader, that in our local and immediate worlds there are wondrous and interesting narratives and poetics, streaming out from and around us. Nine Billion Branches refers to a hypothetical number of the narratives within reach of all of us. And to experience it is to experience a book of poetry if that book was mutated and recreated as wondrous interactive creatures! Each section is different, each section is its own creation.